The 2017 Honda CR-V interior offers up to 75.8 cubic feet of total cargo space, comes standard with a seven-inch touchscreen, and features high-quality materials throughout. The well-rounded capabilities of this model are reflected in the cabin, which is why so many families and commuters in Hoboken make this their crossover of choice. Tour the 2017 Honda CR-V interior at Metro Honda in Jersey City, NJ today. The cabin comes with leather trim and accents throughout, giving it a high-end feel when you're driving in West New York. At higher level trims, the seats are covered in leather as well. The driver's seat is available with 12-way power adjustment as well as 4-way lumbar support and independent memory settings. The front passenger's seat is also available with 4-way power adjustment. When the weather is nice in Newark, you only need to press one button to open up the expansive available moonroof. This lets in the sun and the fresh air without turning the cabin into a wind tunnel. There is no need to fish for your keys when you're ready to get going. As long as they are located inside the cabin, you simply need to press a button to start the CR-V and head off. This cabin is loaded with clever enhancements like a customizable storage space between the front seats that slides into three positions to accommodate drinks, bags, devices, or just about anything. The front seats are available with heat to cut through the chill in Bayonne, and thanks to dual-zone climate controls the cabin accommodates multiple temperature preferences. 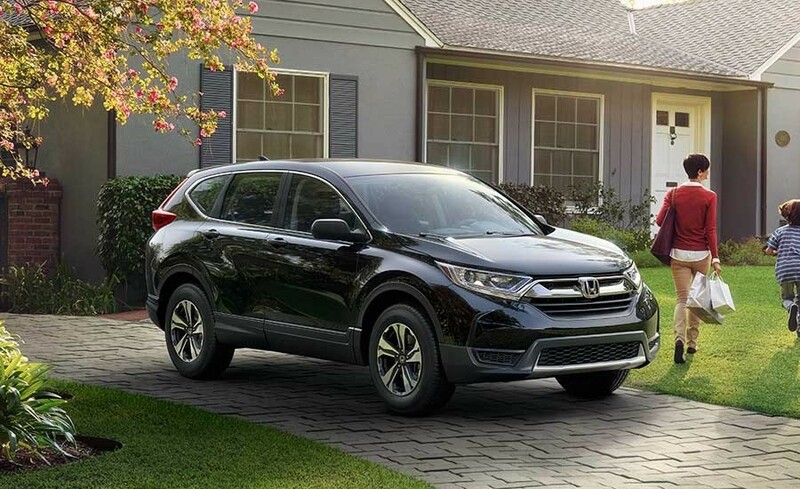 Additionally, the CR-V is available with Apple CarPlay and Android Auto, features that let you access many of your favorite apps through the vehicle’s infotainment system. Endless information and entertainment is at your fingertips. The CR-V inventory at Metro Honda is expansive, including options with onboard navigation. Before you explore what is available, learn about the extensive safety features and find out how this model compares to the RAV4. You are welcome to apply for financing before visiting us in Jersey City, and don’t hesitate to contact us with questions.